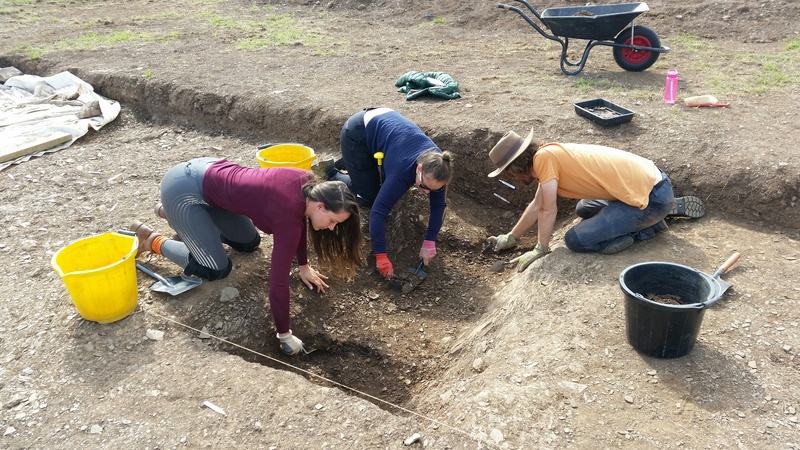 The Archaeology Department at the University of Exeter is working with the British Museum, the Portable Antiquities Scheme, and Devon County Council to explore the making of the Devon landscape at Ipplepen, near Newton Abbot. Several seasons of excavation have started to investigate a complex multi-period site that was occupied during the late prehistoric, Roman, and early medieval periods, and the discovery of a cemetery means that we are able to carry out research into the communities who created Devon’s distinctive countryside. The excavation costs around £25,000 a year to run and offers some opportunities for members of the local community to take part free-of-charge. While the project receives support from the University of Exeter, National Lottery, British Museum, Devon County Council, and Teignbridge District Council, and has received a generous bequest in the Will of Professor Mick Aston (Visiting Professor at the University of Exeter), we need to raise additional funds to allow us to continue with the excavation, and to hopefully expand the project in order to increase engagement with the local community. We have therefore set up the Ipplepen Excavation Appeal which is looking for donations large and small. All gifts, of any size, are greatly appreciated and collectively can be transformational.